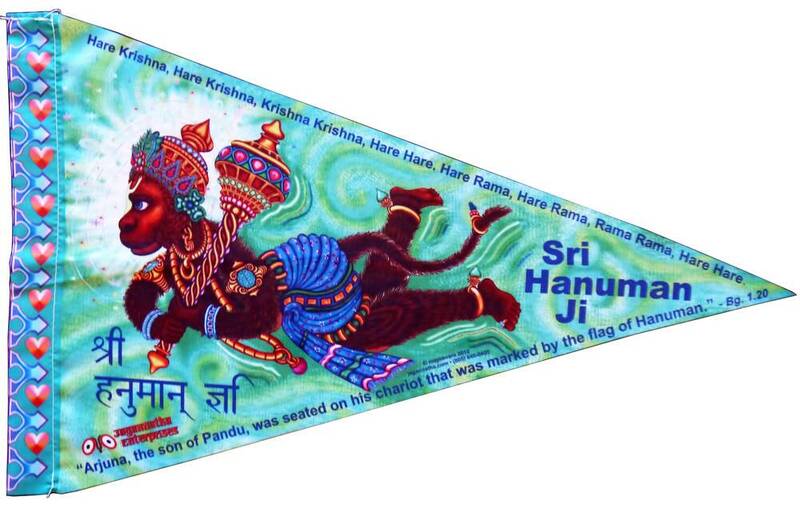 Beautiful Art Flag with the name and picture of Sri Hanuman. 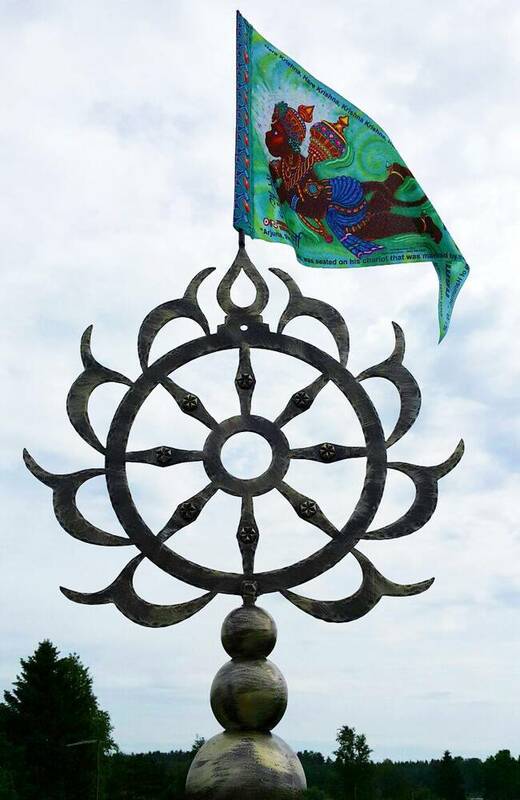 This pennant-shaped flag can be used to top a flagpole or Rath Yatra chariot, decorate the space and remind people of Hanuman, the powerful Monkey Warrior and Devotee of Lord Rama. It is approximately 23" long X 15" tall and is made from thin polyester. The image can be seen from both sides.